The purpose of this webinar was to address the key components of the Health Home Transition billing process for providers transitioning from 1915c waiver care coordination to Health Home Care Management. 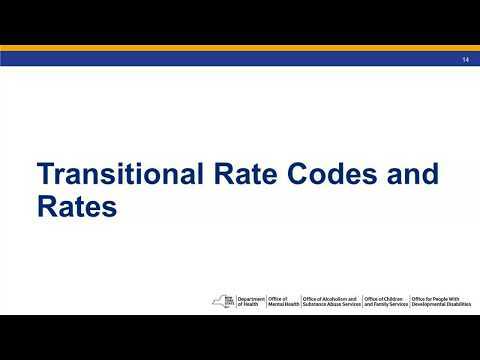 This webinar focused on an overview of the transitional rate codes and rates for the transitional rate period of 1/1/19 through 12/31/20, frequency of billing, and how the Department of Health will prospectively monitor the billing of transitional rates. 1915c providers transitioning to Health Home Care Management Agencies and Lead Health Homes Serving Children.